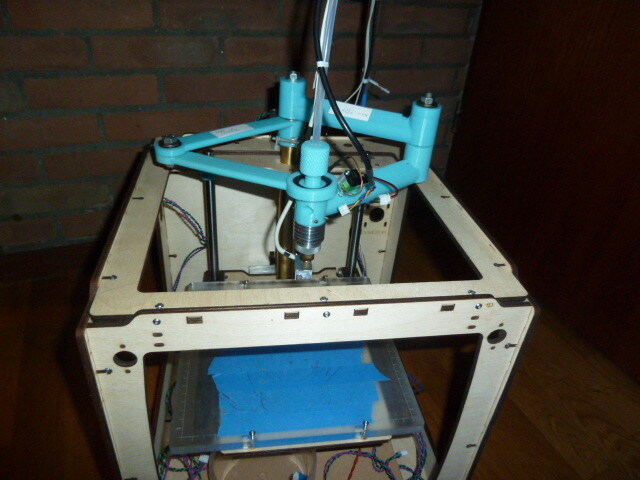 Home / Reprap Morgan / Morgan Ultimate? 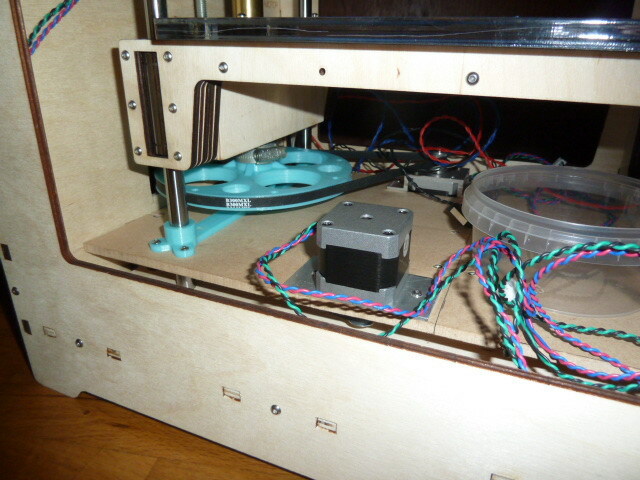 I had access to another Ultimaker kit and applied that with the available Morgan parts from the first trial set-up. I used the Ultimaker platform ( =more stable but mounted up side down to get the platform higher) , and with M8 thread and nut as in your design. 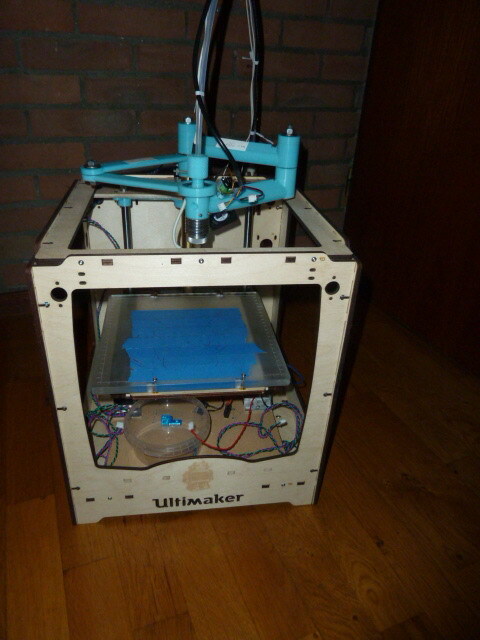 I used the Ultimaker extruderfeeder, electronics and motors. I designed and built a hotend for the Morgan arm. We now are struggling with positioning the end stops, the firmware and the calibration. I have got a friend to do that for me as I am more a mechanical guy. Where and how did you place the Hall sensors? We let you know when the printer works. The standard Ultimaker print surface dimensions are too small for the full use of the Morgan arms. Home position as you sent me in a picture can not be attained/applied. We need to find a way to mount two homing switches (Hall type) for the arms.